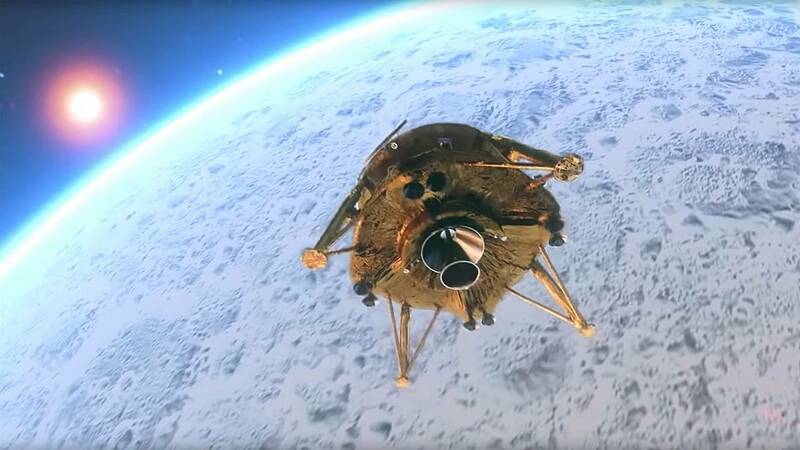 After a two-month journey through space, an Israeli spacecraft could make history Thursday as it attempts to land on the moon. The Beresheet spacecraft is scheduled to touch down on the lunar surface between 3 p.m. and 4 p.m. ET. SpaceIL, the Israeli nonprofit behind the mission, will stream the landing live online. If the landing is successful, Israel will become only the fourth nation — after the United States, Russia and China — to land a spacecraft on the moon. The four-legged craft, about the size of a washing machine, would also become the first privately funded spacecraft to settle on the lunar surface. Beresheet — the name means "genesis" in Hebrew — performed a final pre-landing maneuver Wednesday, firing its engines for 32 seconds to bring it within 10 miles of the lunar surface. "Having completed the maneuver, Beresheet will continue to orbit the moon in an elliptical orbit every 2 hours," SpaceIL officials tweeted. The $100 million spacecraft is expected to touch down on a vast lava plain known as Mare Serenitatis, or the Sea of Serenity, located on the lunar nearside. This site is a few hundred miles east of the Apollo 15 landing site and about the same distance northwest of the Apollo 17 site, according to the Israel Ministry of Foreign Affairs. Once on the moon, Beresheet will snap photos of its surroundings and use its onboard magnetometer to measure the magnetism of lunar rocks. The data it obtains could help scientists better understand how the moon acquired its magnetic field. Beresheet launched into space aboard a SpaceX Falcon 9 rocket on Feb. 21 and slipped into lunar orbit on April 4. The contest ended last year with no one winning the $20 million grand prize. But the Culver City, California-based X Prize Foundation, which sponsored the competition, said in March that it would award $1 million to SpaceIL if Beresheet successfully lands on the moon.